Experience a little taste of what CANFEST is going to be like! Snag a free beer, yes FREE, have a rad time hanging out with the CANFEST crew, and experience the magic of canned beer. 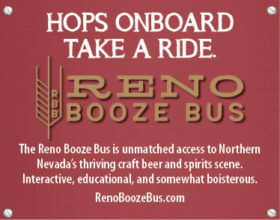 We hope to see everyone make it out to CANFEST on August 26 at the Grand Sierra Resort. That’s right, free beer. Now in its 9th year, CANFEST was the first beer festival in the world to serve only beers from cans. It was created to showcase the benefits of canning beer. Long perceived as packing for poor quality brews, cans have recently risen to the packaging choice for many microbreweries around the globe.